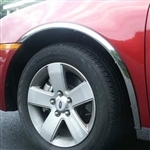 Chrome Wheel Well Fender Trim from ShopSAR.com is Fender Trim is a great aftermarket, high polished stainless steel accessory that adds style and protection to the your fender. 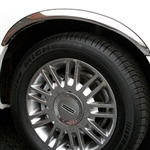 They are manufactured using high polished 304 grade stainless steel and installed easily and securely using either no-drill wheel well clips or with supplied screws. 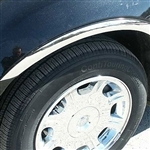 ShopSAR.com features Chevy Silverado Chrome Fender Trim, Dodge Ram Wheel Well Fender Trim, Cadillac Escalade Chrome Fender Trim, as well as for Chevy Impala, Tahoe, and Suburban fender accents. 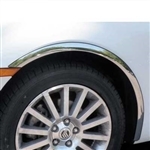 These bright wheel well trims gives a high-end appearance inexpensively and with minimal effort. Custom designed to fit your specific year, make and model for a no hassle perfect fit! Installed using either no drill wheel well clips or with supplied screws. The mirror finish is designed to last the life of your vehicle, no matter what the weather or how many car washes you subject them to.